Everyone has a role to play when it comes to safeguarding, but what role should the designated safeguarding lead person play in protecting the welfare of children and vulnerable adults in your organization? What is a designated safeguarding lead person? While every member of staff in a school, college or education setting should be up to date with their safeguarding training and should understand the safeguarding policies and procedures for their setting, there are some members of staff who will take an extra responsibility for safeguarding. These individuals are known as the designated safeguarding lead person (formerly the Child Protection Officer) and every school and college should have at least one member of staff fulfilling this duty. Keeping Children Safe in Education 2018 (Part 1) also states that every member of staff in each setting should be aware of the role of the designated safeguarding lead and the identity of the designated safeguarding lead and any deputies. Do designated safeguarding leads only exist in education settings? Designated safeguarding leads are not only found in schools and colleges. Many other working environments across a variety of sectors have designated safeguarding lead persons and deputies taking responsibility for safeguarding in the workplace. In some instances, such as dental practices for example, they are called simply called Safeguarding Leads. What does a designated safeguarding lead do? Ultimately, the role of the designated safeguarding lead is to act as the first point of contact for any safeguarding or child protection incident or concern in the setting and even sometimes outside of the workplace. A designated safeguarding lead will typically have a higher level of safeguarding training than other members of staff in an organisation. 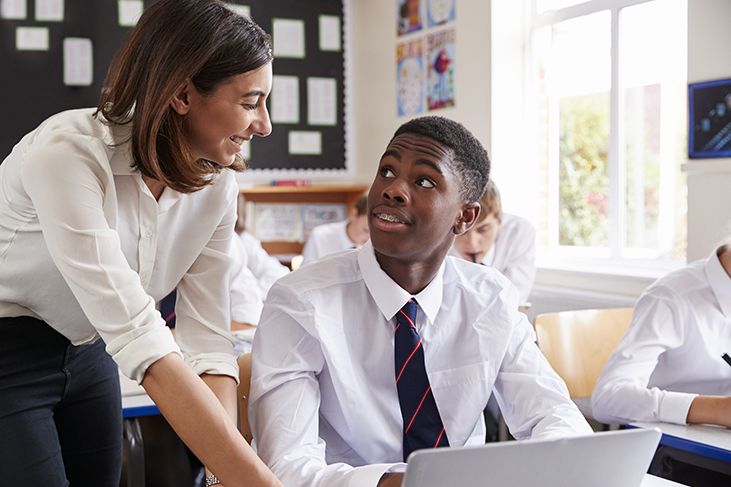 To name one example, while most staff in a secondary school environment would only need to take our Safeguarding in Education online safeguarding course, a designated safeguarding lead person would need to take the same course plus attend a multi-agency face to face higher level course typically run by their LSCB. Where this is not available or the setting is outside of education our Further Child Protection online safeguarding course will provide a full understanding of safeguarding processes and protocols. Do designated safeguarding leads deal with all safeguarding incidents? It is important that the designated safeguarding lead person in your setting is someone with the authority to deal with incidents and concerns immediately when called upon, however, it is likely the case that the designated safeguarding lead will not be directly responsible for resolving a child protection incident. Rather, they will guide the matter to the appropriate safeguarding partners such as children’s social services or the police, who will handle the incident or concern as part of a multi-agency plan. Safeguarding incidents are never only one person’s responsibility to resolve, but you should ensure that your designated safeguarding lead person is the first point of contact when any incidents arise, and they should be involved throughout the entire process thereafter. Does the designated safeguarding lead person still take responsibility for safeguarding even when they are not at work? It depends on your setting as to whether or not one designated safeguarding lead person will take full responsibility for safeguarding at all times, even when they are not at work. However, deputies can be appointed to fulfil the duty at times when the designated safeguarding lead person is unavailable to respond to an incident. Make no mistake, though: the deputy designated safeguarding lead should be trained to just as high a level as the designated safeguarding lead. Where can I train to become a designated safeguarding lead person? At the Child Protection Company, we offer a range of professional online safeguarding courses developed specifically for individual sectors, settings, and roles. Over 1,500 schools in the United Kingdom use our courses and the list is only growing. However, for those designated safeguarding leads working in educational settings, it’s important to first check with your Local Safeguarding Children Board as to which training you should take as many prefer a higher level of training to be delivered by themselves in a face-to-face multi-agency setting. If you would like to discuss your unique safeguarding training needs with a member of our friendly customer support team, or if you would like to receive a quote for safeguarding training, please give us a call on 01327 552030, use the live chat feature on our website, or email us at help@childprotectioncompany.com.